Payback Bazaar is an online portal where you can get a commission for your expenses. You can get compensated on whatever you spend. Whether you recharge your mobile, pay your postpaid bills, renew your insurance or recharge your DTH data card, you can get a higher amount than what you have spent. Payback Bazaar can help you to save money. At the same time, you can be offered various deals like cashbacks. So you can earn money through these benefits while making your payments. With the coupon codes, you can get offers for holidays, travels, shopping, restaurants, etc. Payback Bazaar can also lessen your expenses. So explore Payback Bazaar and find out what you want. 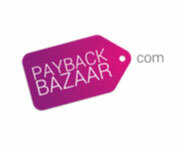 Register at Payback bazaar and avail Rs.2500 + 7 Days Free On Corporate Membership. Select services like Mobile, Dth, Data Card, Landline, Electricity, Gas and much more. Offer valid till 30th June. Pay online by credit/debit card and net banking. Payback Bazaar offers. Avail Upto Rs.150 OFF on Dth Recharge across India. Valid for new users and only for 1 Person, one voucher Per account & Valid for all Dth services. No coupon code required. No minimum purchase require to avail this offer. Hurry Up!! Limited period offer. Get flat 5% Payback on all your Landline Bills. Offer not valid for Airtel. Maximum payback is Rs.50, can be used once per account.Payback Bazaar subscribers can save more upto 10%, visit this page now. Flat 2% Off + Extra 10% Off On Electricity Bills. Get flat 2% Payback on all your Electricity Bills. 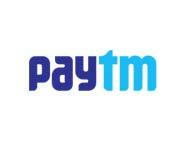 Maximum payback is Rs.50, can be used once per account. PB subscribers can save more upto 10%, visit this page now. Fantastic offers from Payback Bazaar. Avail Upto Rs.150 OFF on Gas Bill Payments across India. Valid for new users and only for 1 Person, one voucher Per account . No coupon code required. Checkout the offers. No minimum purchase require to avail this offer. Hurry Up!! Limited period offer. 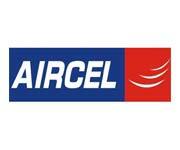 Get flat 5% Payback on all your Landline Bills, Offer not valid for Airtel, maximum payback is Rs.50, can be used once per account.PB subscribers can save more upto 10%, visit this page.